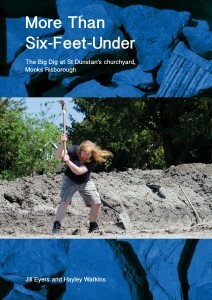 During the summer of 2013, St Dunstan’s Church commissioned an archaeological dig to be carried out on the site of their proposed graveyard extension. The location and history of the site made it an exciting project to be part of, with finds dating as far back at the Bronze Age and even Ice Age! It was my intention to photograph the progress of the dig from ‘breaking ground’ to it’s completion, and to capture images of the hard work of the wonderful volunteers who put so much in to the project. Upon review of the photographs, Jill and I realised we had the images, narrative and evidence to produce a really interesting book. Inside, you will learn about the history of St Dunstan’s and the surrounding landscape, what was discovered during the dig, tales from times gone by and even some recipes from different eras; All accompanied by some beautiful images.